Albert Einstein is an icon and for good reason. His general theory of relativity, which describes the force of gravity, was an intellectual tour de force. Not only were his ideas entirely new, they have also stood the test of time. Despite this success, some physicists are doing what many would consider sacrilege: they are tinkering with the theory, producing modified versions of it. But why? Einstein's theory of relativity, which describes the force of gravity, was an intellectual tour de force. "General relativity correctly describes what we observe at the scale of the solar system," reassures Constantinos Skordis, of The Universities of Nottingham and Cyprus. "It all works beautifully at this scale and it has been tested." The problems arise when you look at the Universe at very small or at very large scales. At the turn of the twentieth century people realised that at very small scales, in the realm of atomic and sub-atomic particles, the world looked very different from what they had expected. The theory of quantum mechanics grew out of that realisation and posed a new challenge: the descriptions of the fundamental forces of nature now had to be adapted to the new quantum mechanical insights — they had to quantised (see Schrödinger's equation — what is it? and Let me take you down cos we're going to .. quantum fields). The problem is that general relativity stubbornly refuses to comply in this undertaking. "Einstein's theory cannot be easily quantised; we can't find a quantum counterpart in the same way as we found one for electromagnetism," explains Thomas Sotiriou of the University of Nottingham. In fact, the problem of finding a quantum theory of gravity is so challenging, and so important, many consider it the holy grail of modern physics. Quantum physics offers one explanation for dark energy. According to this theory, the vacuum does not really exist in the sense we usually understand it, as empty space. Instead, particles constantly pop in and out of existence, resulting in a vacuum energy, an energy of space itself, which might be driving the accelerated expansion. There's a number which measures that vacuum energy, called the cosmological constant, whose value particle physicists can estimate. The trouble is that this estimated value is bigger than what observations suggest. And not just a bit: the two values, observed and theoretical, differ by at least 60 orders of magnitude (see this article for more). Although the estimate stemming from quantum physics is rough and perhaps naive, the difference is so big that something is clearly, very wrong. These problems, dark energy and the need to quantise gravity, provide some of the motivations for meddling with general relativity. And perhaps they are even connected. "The very large and the very small [scale problems] are not necessarily distinct," says Sotiriou. "It is technically very challenging, but not inconceivable that one could have an extension of general relativity that deals with the large scale problems, which would at the same time have a better behaviour when it comes to quantisation. Maybe we can hit two birds with one stone." One place to start is a fundamental principle underlying Einstein's physics. The word "relativity" refers to the fact that when you observe an object in motion, what you see depends on how you are moving yourself. We're all familiar with this. When you observe a moving train from the platform, you see it rushing past, but if you are travelling alongside it at the same speed it looks stationary. Motion is relative: it depends on what you measure it against. 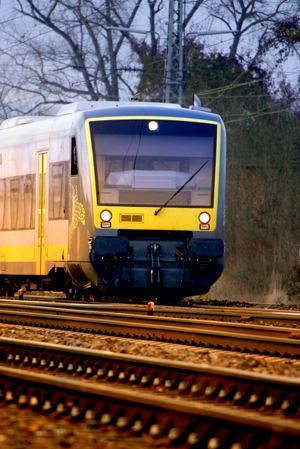 If you throw a ball up in the air in a moving train, you will see it behaving in exactly the same way as if you were standing on the platform, as long as the train is not slowing down, speeding up, or swerving. Some things, however, do look the same whether you are moving or not. If you throw a ball up in the air in a moving train, you will see it behaving in exactly the same way as if you were standing on the platform, as long as the train is not slowing down, speeding up, or swerving. Einstein thought that this was a fundamental feature of nature: that two observers performing the same experiment should see the same result even if they are moving at different speeds, as long as their relative velocity is constant. (That is, if one were to look across to the other, they wouldn't perceive him or her to be slowing down, speeding up, or swerving.) The results they see should also be independent of the direction in which their laboratory is oriented in space. This principle is known as Lorentz invariance or Lorentz symmetry, after the Dutch physicists Hendrik Antoon Lorentz who played a major role in developing the underlying ideas. Einstein's special theory of relativity, which came before the general one, is built on the principle of Lorentz symmetry and the additional principle that the speed of light should appear the same to all observers. Squeezing the two principles into the same theory came at a price: things we would normally think of as absolute, such as time or the lengths of objects, in special relativity also become relative, depending on the observer's state of motion (see this article for more). As the name suggests, special relativity only applies to special situations, which is why Einstein went on to formulate the more universal general theory of relativity. It ended up providing a complete description of the force of gravity, and it encodes Lorentz symmetry in a fundamental way. Lorentz symmetry isn't just an idea: it has been tested experimentally and so far it seems that it does indeed hold. But still, there are people who suspect that it's where general relativity might be going wrong. "The name of the game is to say, can I actually have a violation of the symmetry; deviations from the standard picture that are small enough so that experiments will not detect them, but that would still lead to a better behaviour [of the theory]," says Sotiriou. Physicists are in the process of formulating such Lorentz violating theories, and although their efforts are not yet complete, results are interesting. "It turns out that theories that don't satisfy Lorentz's principle tend to behave better when you go to smaller and smaller length scales," says Sotiriou. "There's a theory that fits the bill, initially proposed by Petr Hořava at UC Berkeley. It doesn't seem to contradict any experiments so far, and in principle it seems that it will have better quantisation properties than general relativity. But the theory is not yet completely worked out. It needs to be looked at more." Another approach that has seen recent progress also involves the attempt to quantise gravity. Quantum physics, which does well at describing fundamental forces other than gravity, holds that these forces are "mediated" by force-carrying particles. For example, when two electrons interact via the force of electromagnetism, they do so by exchanging photons. A quantum description of gravity would require such a force carrying particle for gravity too, called the graviton. 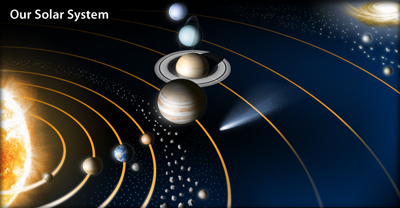 The force of gravity reaches all the way across the solar system. Image courtesy NASA. The mass of a force carrying particle determines how far the corresponding force can reach. Photons, for example, have no mass at all. This turns them into swift travellers, giving the force of electromagnetism an infinite reach. The weak nuclear force, by contrast, is mediated by the relatively massive particles, and can only act across very short distances within atoms. So what about gravity? Our existence on Earth confirms that its reach is very long. The gravitational pull of the Sun, nearly 150 million km away, is strong enough to keep the Earth in orbit. General relativity goes all the way, assuming the reach of gravity to be infinite, resulting in a massless graviton. There is no reason, however, why the graviton couldn't possess a tiny little bit of mass. Assuming that it does modifies the effects of gravity over very large distances and still fits in with observations. And interestingly, theory suggests that a massive graviton would lead to a Universe whose expansion self-accelerates – so no need to evoke the mysterious dark energy to explain the acceleration. "[Massive gravity] is an old problem," says Skordis. "In the 1930s Markus Fierz and Wolfgang Pauli already tried to propose [such a theory]. Later in 1970s it was realised that if you try to do this, you run into problems. You get negative energy, which creates instabilities and pathologies. But [in 2010] new research showed that there is perhaps a way of getting rid of [these problems]; that perhaps there is a good way of creating a consistent theory of massive gravity. It's a very active field of research, although it remains to be seen whether it can provide an acceptable solution to the dark energy problem." After Fierz and Pauli's initial efforts, physicists turned away from trying to modify Einstein's original ideas, though in the last 20 years or so, the activity has gained in popularity — and acceptance. Finding a new and better theory that resolves some of the problems is one motivation, but another is simply to push general relativity to its boundary and rule out alternatives. "We should be testing general relativity regardless, because you should test any theory," says Skordis. "It's part of physics to test everything." 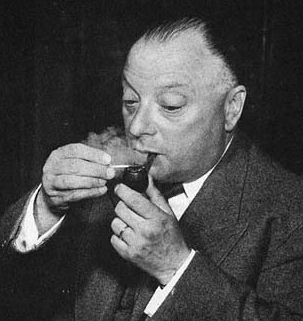 Wolfgang Pauli was one of the first people to think about massive gravity. Many people are still skeptical, however. David Tong, a theoretical physicist at the University of Cambridge, believes that modified gravity doesn't really solve the problem with dark energy. Its models do explain why the expansion of the Universe accelerates, that is, why the cosmological constant is not zero, but they don't explain why its value is so much smaller than what particle physics predicts. This, according to Tong, is the interesting problem. "I've also been skeptical because it seems to me that whenever you mess with general relativity bad things happen — the resulting theories just don't make sense," he says. "I do think that [the recent breakthrough in massive gravity] is genuinely interesting. I suspect it's not good for what they want it to be good for, which is describing our Universe, but it does seem to be an interesting theoretical development at least." Ultimately, to find out whether these modifications of general relativity are correct we need to test them in experiments. Such tests are on the horizon. The Euclid satellite, to be launched in 2020, will hopefully provide more insight into dark energy, and may therefore give information about whether massive gravity is viable. Lorentz-violating gravity makes predictions about the structure of those gravitational monstrosities called black holes. Once these predictions have been worked out in detail they can also be tested against observations. We will have to wait and see. 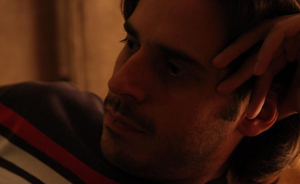 Constantinos Skordis has recently moved from the University of Nottingham to the University of Cyprus as an Assistant Professor, where he will be the Principal Investigator of the European Research Council (ERC) grant Theories and Models of the Dark Sector: Dark Matter, Dark Energy and Gravity. Thomas Sotiriou is Associate Professor & Reader at the University of Nottingham and the Principal Investigator of an ERC-funded research group that focusses on the limits of General Relativity as a theory of gravity. more matter than is known. Why can't there be large quantities of matter too far away to see, yet close enough that its gravity is affecting those objects far away from us that we CAN see, pulling them away from us? That, if we knew their location and quantity, may well fit with Einstein's gravity. For that matter what if the quantity of that matter is practically infinite, being left over from previous big bangs and expansions? I wonder the same thing. I wish someone knowledgeable enough passes by and gives us an answer. I'm no specialist but i'd say it's for the same reason you can't put a large fan on a sailboat to produce wind that will blow the sail and make the boat go. If the universe (=all matter and space) expands, you can't use distant matter to pull the closer matter away from us because that same distant matter is also in the expansion move. Your theory only works if we consider the expansion as a local phenomena and not something that affect the entire universe. Could it be a local phenomenon? Could it be a local phenomenon? Do we speak of the Universe expanding just because everything we know of can be observed to expand or do we somehow know that even those things outside our range of observation would also be expanding? This is why I LOVE plus zine. Your article are consistenly the smartest and best written. NOT KIDDING! I'm a comedy writer in Los Angeles, so I should know! I'll start spreading the word about Plus and maths.org on my facebook page. Instead of its limits, you should consider the assumptions it is based on. Start with the photon. Wave or particle? Would that matter? I know of better ways of explaining red shift and particle accelerators that have nothing to do with SR. Problem with "Models of the Dark Sektor"
In my view all of these problems are conceptual at the root. According to the present paradigm as represented by the Standard Model forces are mediated by force particles, the photon, graviton, etc, operating in an empty vacuum. This empty vacuum is for unknown reasons a playground for the virtual particles of quantum mechanics which endows the vacuum with absurd energy content. Shifting the focus from particles to a "fabric of the universe" while trying to understand the reason that fabric might be very difficult to detect would be a change of concept which, I'm sure, would provide a remedy that might eventually also bring about a change of paradigm. You may find some ideas in this direction at http://spacetime.nu/ with the latest addition from January 2016 being "Endless Vibrations". Until in the year 2010 I still believed that Einstein’s general theory of relativity is correct, but changed at the end of it when I’ve read Lincoln Barnet’s book Universe and Dr. Einstein. In this book I found Einstein’s proving method on his hypothesis ‘deflection of light by the Sun’ isn’t scientific and deeply wrong. “From these purely theoretical considerations Einstein concluded that light, like any material object, travels in a curve when passing through the gravitational field of a massive body. He suggested that his theory could be put to test by observing the path of starlight in the gravitational field of thesun. Since the stars are invisible by day, there is only one occasion when sun and stars can be seen together in the sky, and that is during an eclipse. Einstein calculated the degree of deflection that should be observed and predicted that for the stars closest to the sun the deviation would be about 1.75 seconds of an arc. Since he staked his whole General Theory of Relativity on this test, men of science throughout the world anxiously awaited the findings of expeditions which journeyed to equatorial regions to photograph the eclipse of May 29, 1919. When their pictures were developed and examined, the deflection of the starlight in the gravitational field of the sun was found to average 1.64 seconds – a figure as close to perfect agreement with Einstein’s prediction as the accuracy of instruments allowed.“ (Lincoln Barnett, The Universe and Dr.Einstein, London, Victor Gollanez LTD, First Published June 1949, Preface by Albert Einstein, page 78-79 ). 1.Deflection of light is the different angle between true position and apparent position of stars or the different of altitude. In astronomy, true position and apparent position of stars are three dimensionals. All the photographs be taken of the stars are two dimensionals. In this case Einstein ignored refraction of light and celestial sphere (Celestial Coordinate System) as the fundamental concepts in astronomy. 2.All the photographs be taken of solar eclipse ( the Sun and stars ) are photographs of the apparent positions of the Sun and stars. From these photos can not be use to calculate the deflection of light. No one can determine the correct angle of the deflection of light. In astronomy, all calculations to determine the true position and the apparent position of a certain star at the sky is only applicable at a certain time and at a certain place on which such observation is performed. To compared the photographs taken during an eclipse with photographs of those same stars made at another time is not scientific. Thus, deflection of light caused by refraction, not gravity. General theory of relativity has been wrong since the beginning, and will be affect to the hipothesis and theories in modern physics. In the theory of gravity Isaac Newton was right and Albert Einstein was wrong. Moreover, Newton's law of gravity had been self-proven and applied in the modern astronomy. Until now, we still use Newton's theory of gravity.